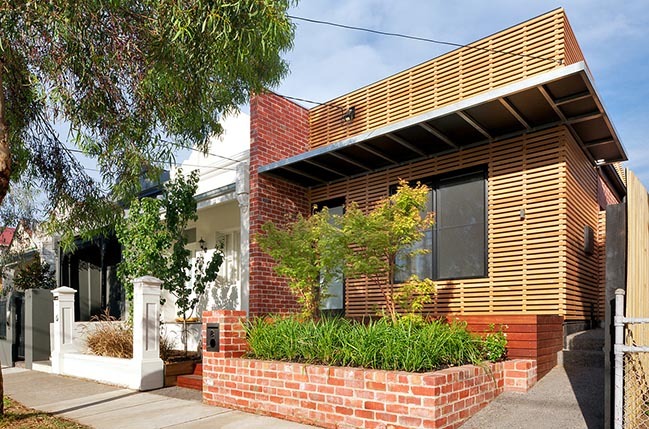 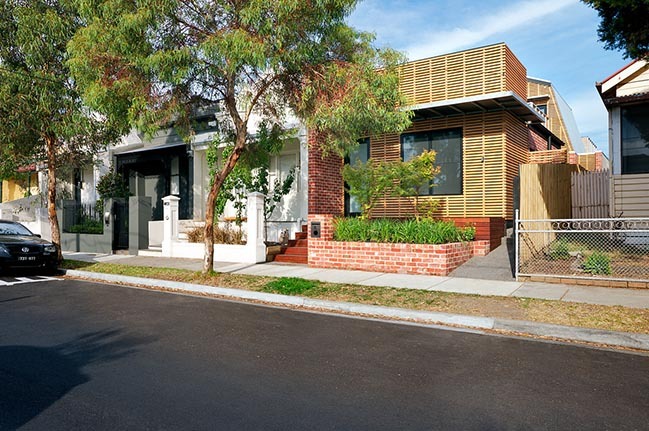 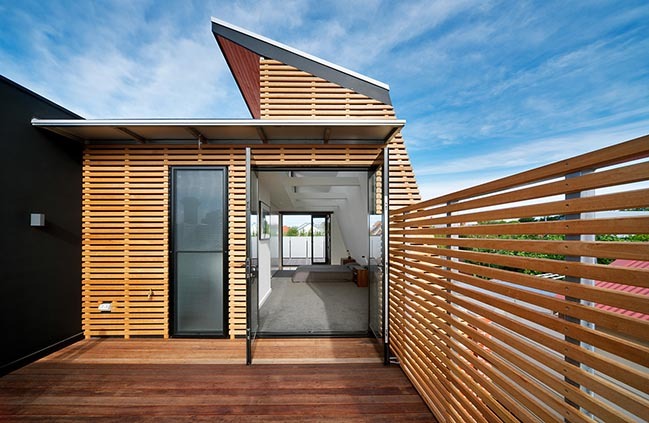 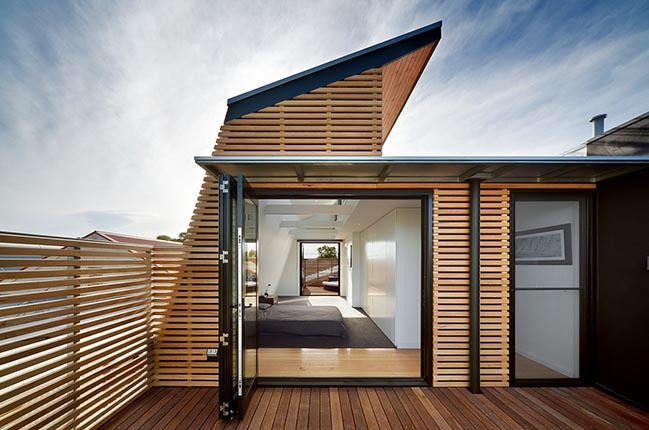 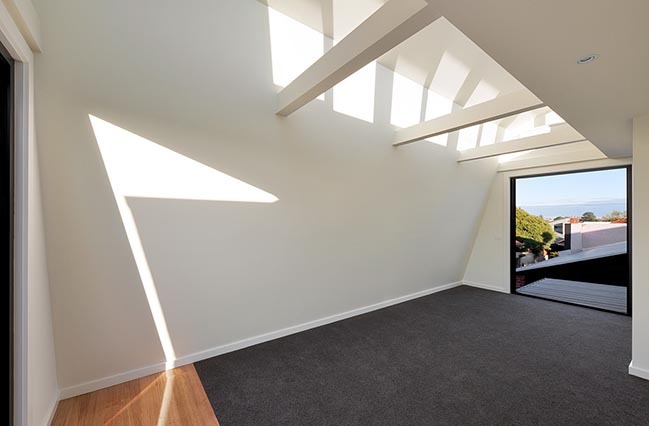 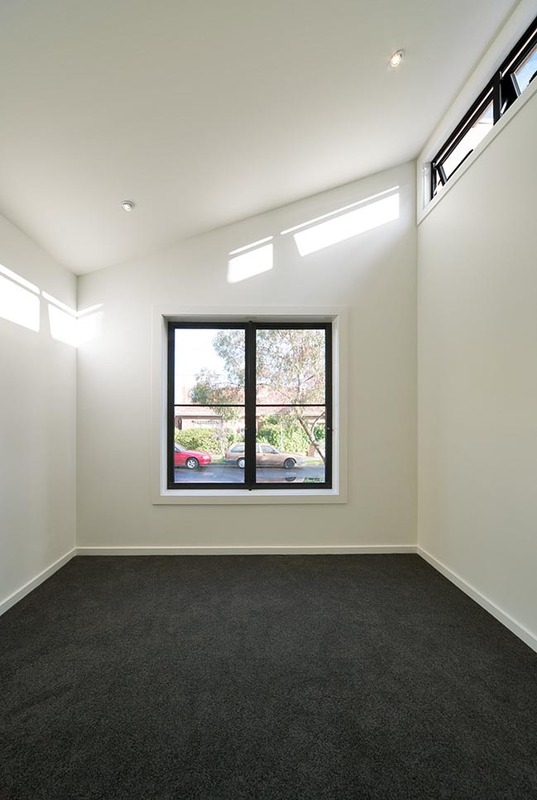 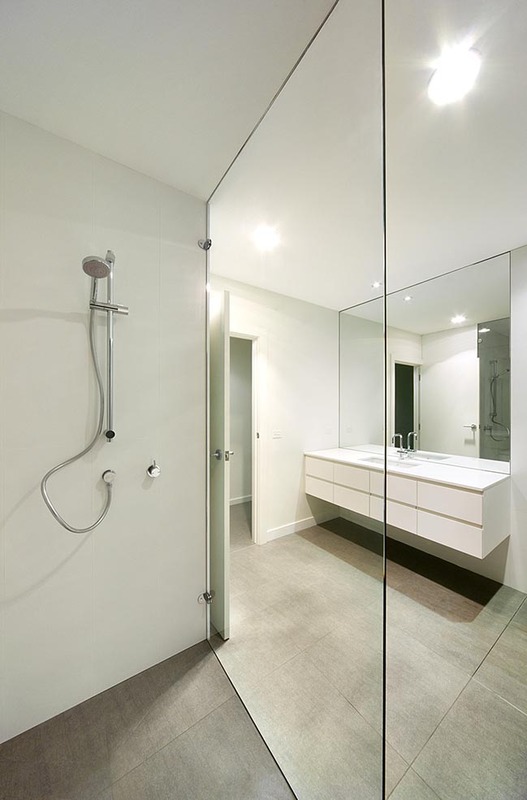 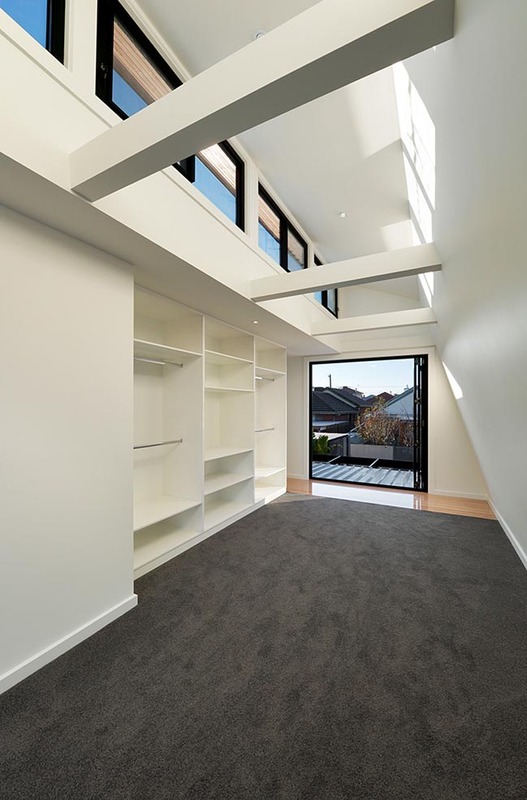 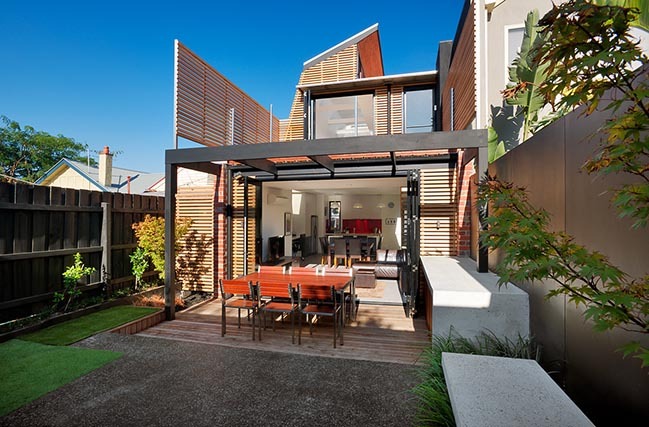 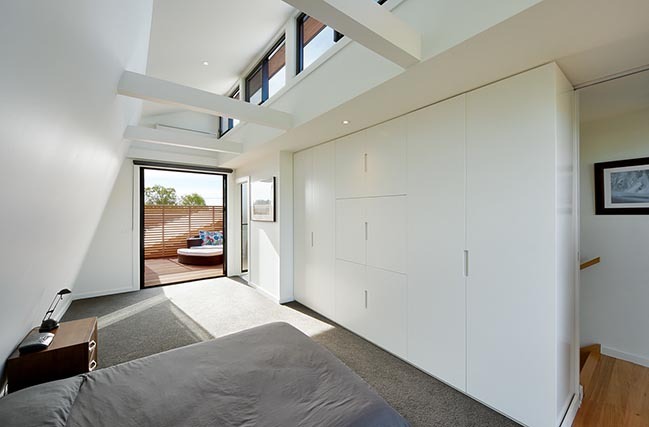 From the architect: A long, narrow property with a two storey building on the north boundary, the site for this new home presented a great challenge in providing good passive solar design. 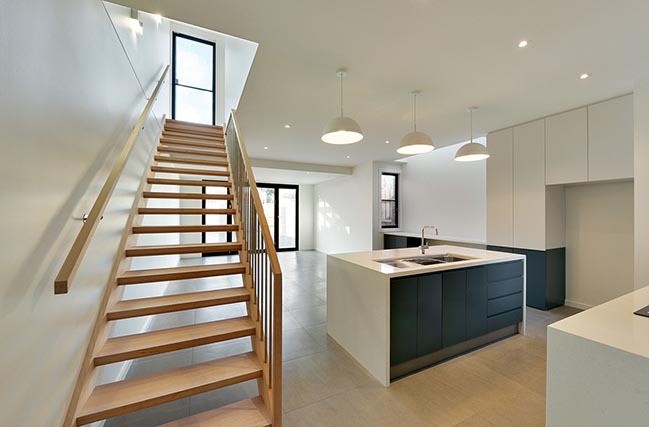 The design response creates beautiful, naturally lit spaces, with a courtyard, open plan living, and a series of north facing clerestory windows that naturally light and heat the home in winter, while acting as thermal chimneys in summer, drawing the heat up and out of the house. 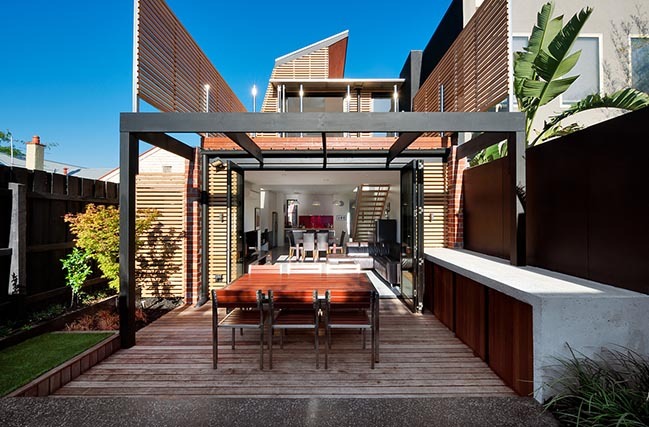 A central courtyard provides additional connections to the garden, natural ventilation and natural light to central rooms in the home, while decking and balconies allow for the living room and flexible master bedroom to open to the outdoors and provide views and a great sense of space.